Our highs are supposed to be in the 70’s this week, and I could. not. be. happier. I’ve been hotter this summer than I can ever remember! In celebration of the decreasing temperatures, we are having THREE soupy/fall/comfort dishes this week! In addition, we are now using the brown “strawberry dishes” that I pull out for fall. My blue and white fruit plates get a break until after the Christmas dishes are put away. My supper dishes are not just plates and bowls – they hold lots of sentiment and good memories (I talked all about that over here). I got some good deals at Ingles this week. Watch my haul below to see what I got and to find out how I earn cash back on my groceries! Previous Post High Five For Friday and All The Fall Things! Next Post 31 Things + A Birthday Giveaway! Isn’t it nice to have some soups thrown in to the menu now?? Bliss! 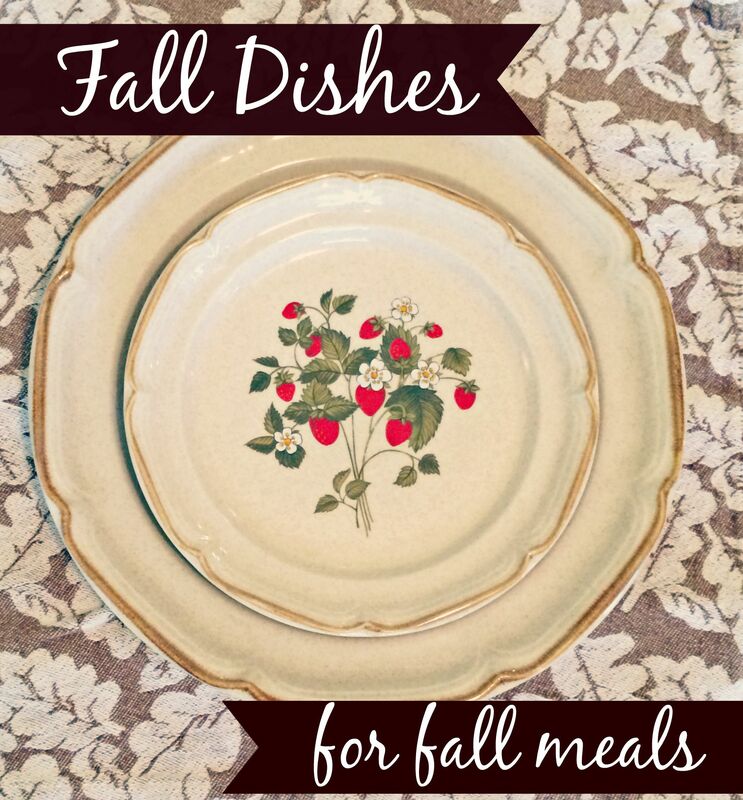 And hurrah for fall dishes!!! I’m so happy for soup season! Fall food is my favorite! Your dishes are pretty. How did I miss your dishes blog??? Love it! I hope my kids remember the Desert Rose that we use year round except for Christmas! My late MIL gave me my Christmas ironstone and I love it so! You can tell I love dinnerware and I love to see other people’s patterns. I love dinnerware too – and it is fun to see what other people have!